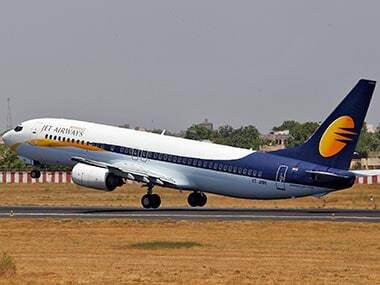 Mumbai: Loss-making carrier Jet Airways is in discussions with the State Bank of India (SBI) for raising Rs 1,500 crore short-term loan to meet its working capital requirement and some payment obligations, a source said. Jet Airways strategic partner and Middle-east carrier Etihad, which holds 24 percent stake in the Indian full service carrier, is likely to provide guarantee for the loan, he said. Significantly, the talks for availing loan are going on at a time when EY is carrying out a forensic audit of Jet Airways on the orders of the airline's largest lender for alleged irregularities. "Jet Airways is in discussions with its largest lender to SBI for raising short-term loans worth Rs 1,500 crore. The airline is looking to mop up these funds to meet its working capital requirement as well as for meeting some payment obligations. Jet Airways is expected to provide Etihad Airways' guarantee for this financing," an airline source told PTI. The Naresh Goyal-controlled airline, which has posted three consecutive quarterly losses of over Rs 1,000 crore each since March, already has as much as Rs 8,052 of debt on its books as on 30 September. 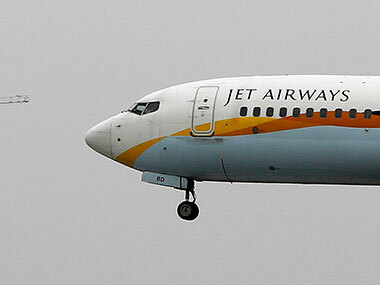 Rating agency Icra has already cut the rating on Jet Airways borrowing programmes. When contacted, SBI spokesperson said, "It is the policy of the bank not to comment upon individual accounts and its treatment". While Jet Airways did not respond to queries on this issue, an Etihad Airways in an e-mail response to PTI from Abu Dhabi said, it "does not comment on rumour or speculation". 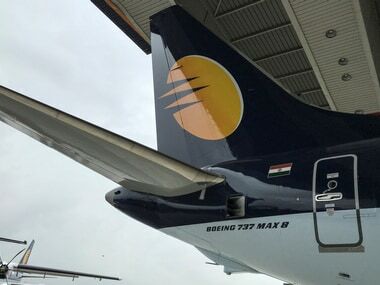 "Jet Airways has been seeking these funds as its earlier proposal of raising $350 million Etihad-guaranteed loan from overseas lenders is still at the negotiations table and expected to take time," the source said who is privy to both the discussions. With its financials in perils and the airline facing cash drought, promoter Goyal is looking to infuse capital in a manner where he does not have to lose control of the Jet Airways, which he set up 25 years ago. His airline has already held preliminary level discussions with the Tata Group for a possible stake sale a couple of months ago. However, reportedly "unhappy" over the deal, he turned back to his Gulf friend once again to rescue the airline. In 2013, Etihad had bailed out Jet Airways by acquiring 24 percent stake in the airline for Rs 2,060 crore, besides extending low-interest loan of $150 million as well as purchasing 50.1 percent stake in its loyalty programme JetPrivilege. While downgrading Jet Airways long-term borrowing ratings from 'B' to 'C' on 10 December, Icra said its action considered delays in the implementation of the proposed liquidity initiatives by the management, further aggravating its liquidity, as reflected in the delays in employee salary payments and lease rental payments to the aircraft lessors. The carrier has a back log of over two months in salary payments to its senior staff, including pilots and engineers.